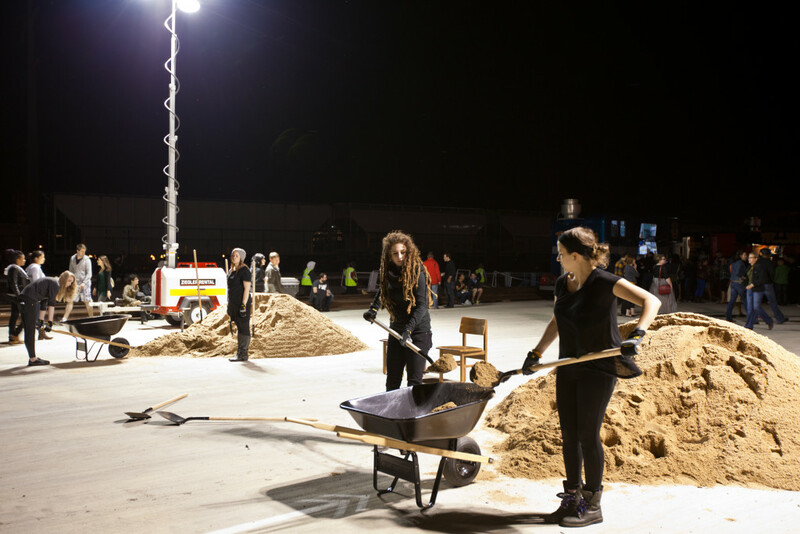 In Piotr Szyhalski’s nine-hour multimedia performance Permanent Labor, people will move dirt. They will cart it from one pile to another, shoveling, wheelbarrowing, and dumping, in an imperfect, wobbly, synchronized dance. Their movements will describe both a daisy chain of pleasure and the stations of the cross, the delight of cooperative action and our sufferance of the decree that we must go on, all choreographed by an artist who grew up in communist and Catholic Poland. Yet, the piece affirms, even as the perpetuity of work is imposed on us by our economic system and by the father god who kicked us out of Eden, at the same time, yes, we choose it. We labor to learn and to create, to consume and to produce, a cycle that ends only in death. Artists especially—but also parents, teachers, software designers, fishers, marketers, auto workers, and bankers—work incessantly to circulate the dirt, to exchange messages, to forge social relations, to make culture. Such, in simplified form, is the substance of Maurizio Lazzarato’s 1996 essay “Immaterial Labor,” one inspiration for Szyhalski’s piece (an English version of the essay, translated by Paul Colilli and Ed Emery, is available at http://www.generation-online.org/c/fcimmateriallabour3.htm). In postindustrial society, writes Lazzarato, it is decreasingly the case that one class of people produces commodities for another class of people to consume. Instead, more and more people work in industries that produce creative and intellectual assets rather than material goods, and these same people continuously consume the creative and intellectual commodities made by themselves and others. 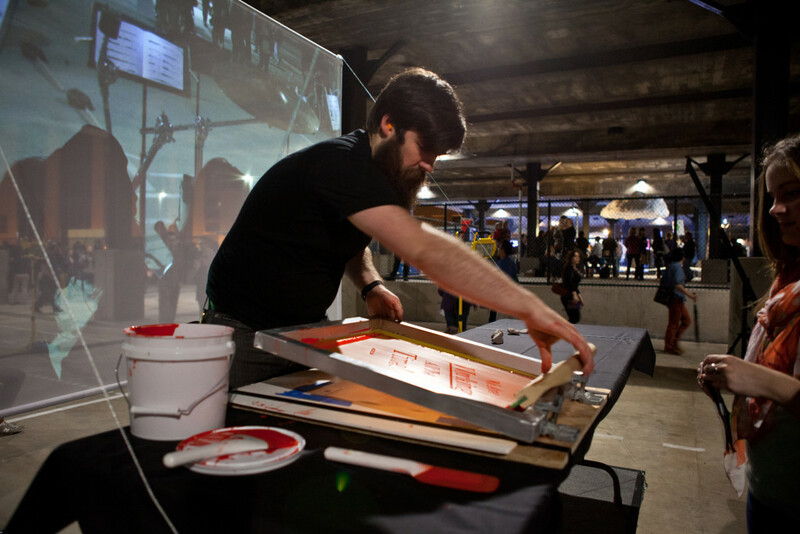 Doing what you love,” says the artist, “is a guarantee that you will never stop working.” As an interpretation of Lazzarato, Permanent Labor celebrates the round of production and consumption, of making and using. While the diggers dig, other performers will play the drums, “the skins,” those analogs of eardrums, the vibrating membranes (Szyhalski calls them transducers) between the self and the world. And because language, like dirt, is the raw material of our labor, weaving skeins of meaning, wrapping us in its transductions, a third group will sing passages of “Immaterial Labor” throughout the night. Dancing, playing, singing, writing—so many ways to get our hands dirty. And what of the audience, the consumers of the work of art? 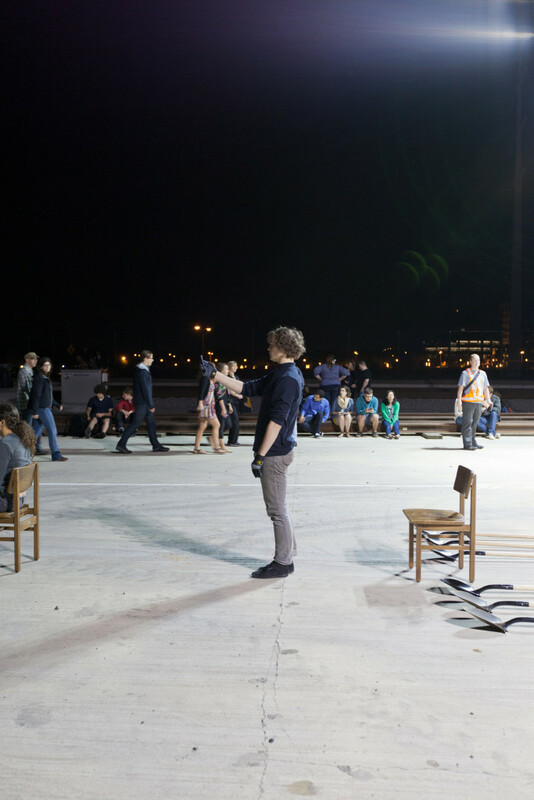 They too will move mountains, not of dirt but of ideas, scrutinizing copies of “Immaterial Labor” in a study room adjacent to the performances, absorbing and interpreting the sounds and gestures of an extraordinary night on earth, passing on the impact of social practice. In this “labor camp”—to reference a previous Szyhalski project—we will be reeducated, but voluntarily. Audience members might recognize that the choreography is based on Yangge, a dance performed by rice farmers in China, a tradition appropriated by the communist regime. Is art, then, a preparation for social change, the pre-history of revolution? No, says Szyhalski: art is the (ex)change.